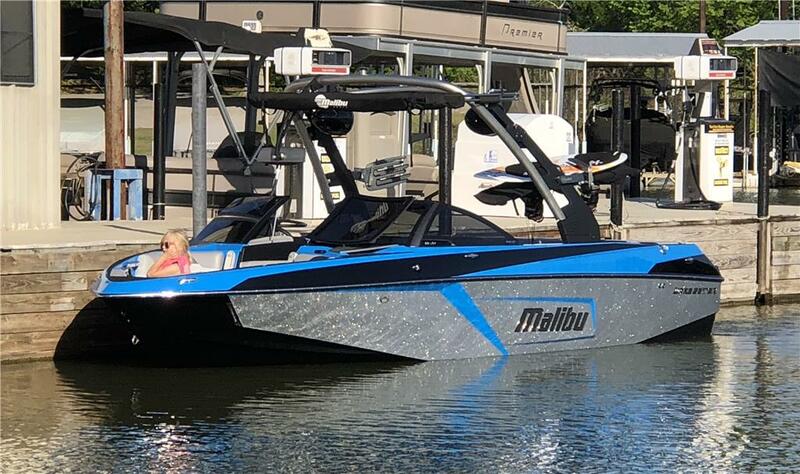 The Super Air Nautique 230 is the official towboat for the Air Nautique Wake Games, the prestigious Masters tournament and the Air Nautique WWA Wakeboard National Championships. The 230 produces a wake with long transitions and a solid lip with plenty of pop. Just one set behind the Super Air Nautique 230 and you'll soon discover why it is the boat of choice for premier riders across the globe. This year, the 230 features progressive graphics, a redesigned helm, plus a premium sound system complete with an MP3 input right at the helm. And check out the long list of options, including deck striping, snap-in crest carpet, a combination pop-up pylon/lift ring, and underwater lights beneath the platform.